See what amazing learning opportunities are available to you and your students. If you could go anywhere with your students, where would you go? What sights would you like them to see with their own eyes? What activities would you like them to participate in? You may be set on a particular destination, especially if your goals for the trip include the practice of a foreign language or visit to a particular historical site. In this case, this guide will help you identify more sites and on-tour activities to round out your itinerary in a particular country. Or you may have set educational goals that could be met in a variety of places. In this case, you’re more likely to be considering several destinations. 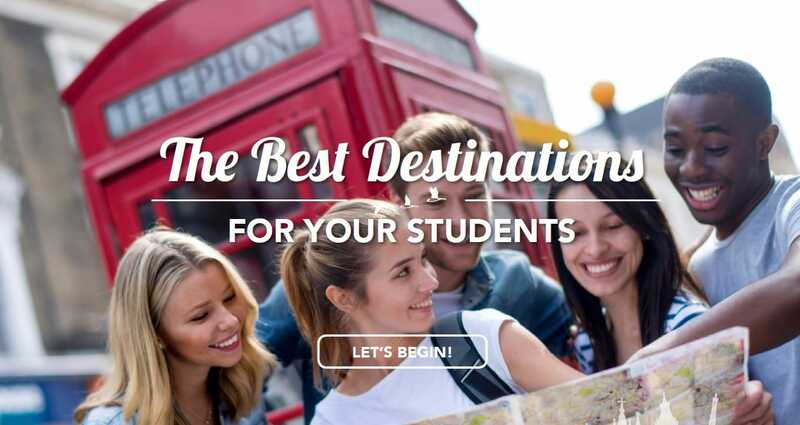 This guide will help you choose the destination(s) that are the best match for your students. Peruse the country profiles, note the iconic places that draw people to visit and the only-there experiences that will have a big impact on your students. If your wanderlust is not already ignited, reading the following pages will do just that! Download this ebook to see what places are out there for you and your class to experience.